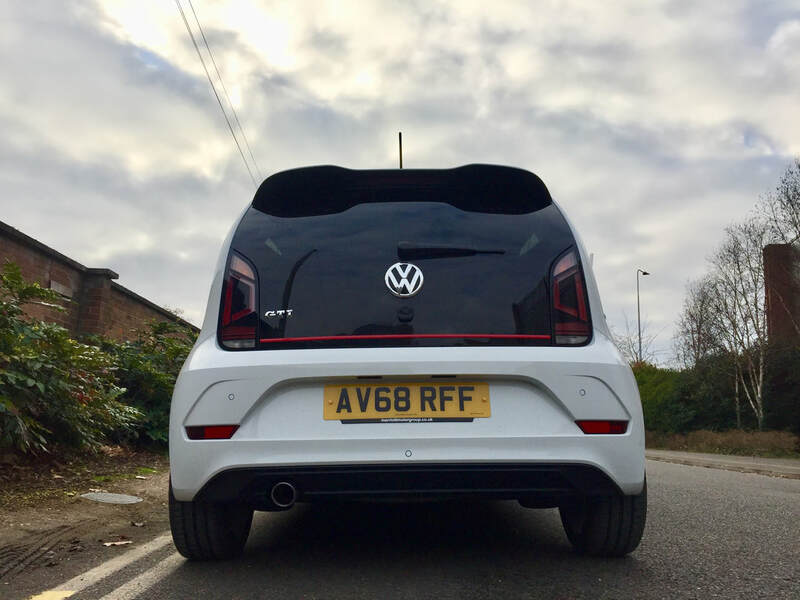 I have chosen to begin this Car Review with the word 'Comical' because what I experienced while Test Driving the new VW Up GTi was nothing short of the word. 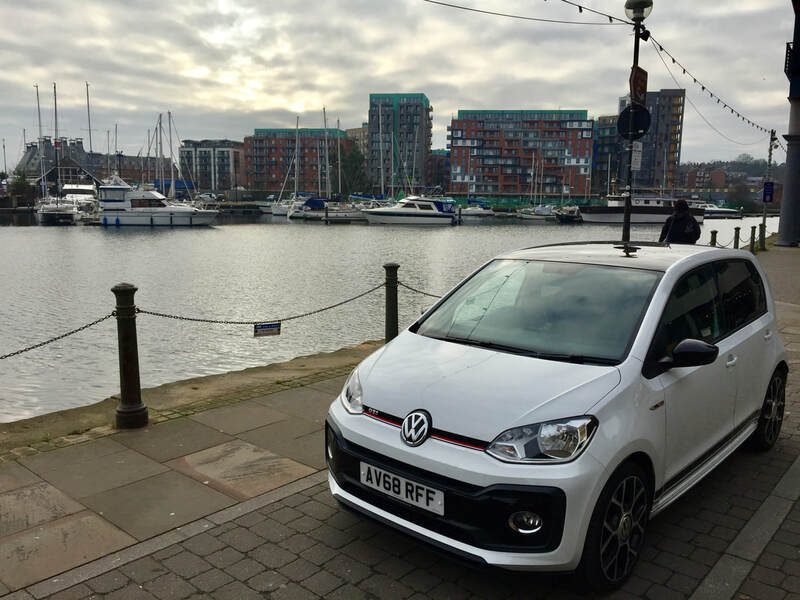 After seeing a 3-Door version parked inside Ipswich Volkswagen a couple of weeks ago, I couldn't help but go up to it and get a few pics; and my surprise when spotting the Steering Wheel which is identical to my Golf 7 GTi really made me want to drive one of these bad boys! 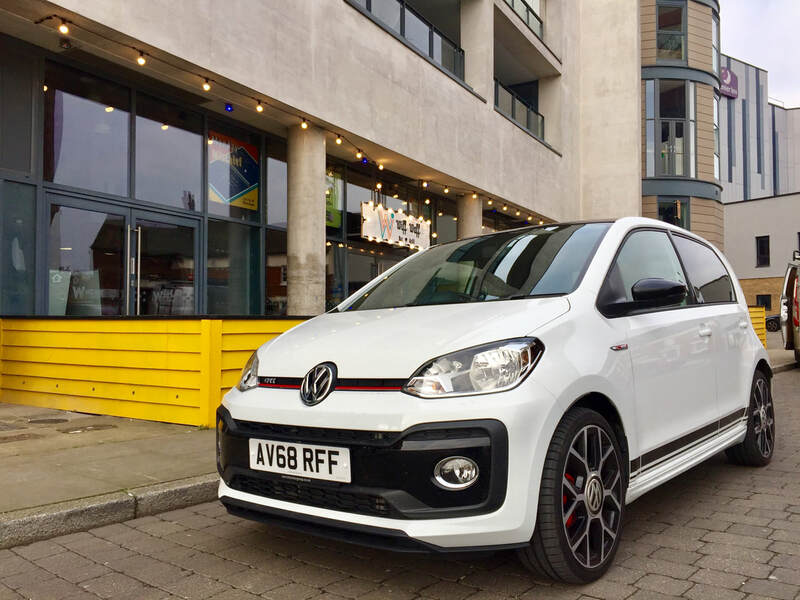 The team at Volkswagen have combined all of the classic GTi features, and squished it into what looks like the smallest Modern Car they have ever produced. 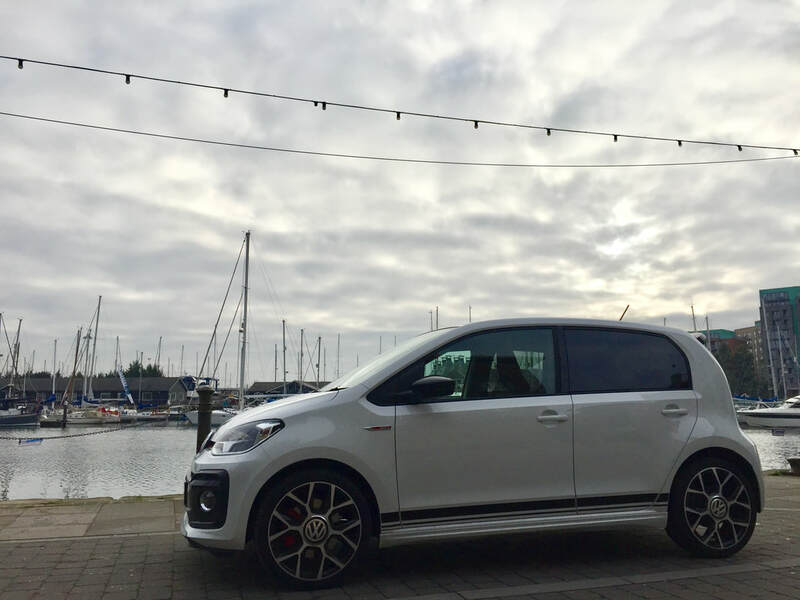 Sitting rather proudly on 17" Alloy Wheels and Sporty Goodyear Tyres - I was more than excited when handed the keys to this little terror! 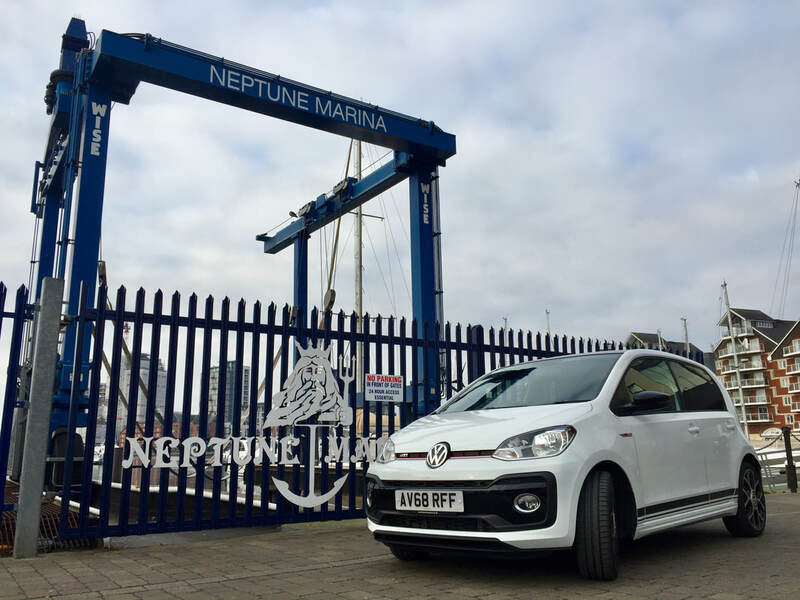 The Ipswich Dock is an area of land around the dock in the Town of Ipswich at a bend of the River Orwell which has been used for trade since at least the 8th Century! A wet dock was constructed in 1842, and major construction work has taken place since 1999-2000 until present. 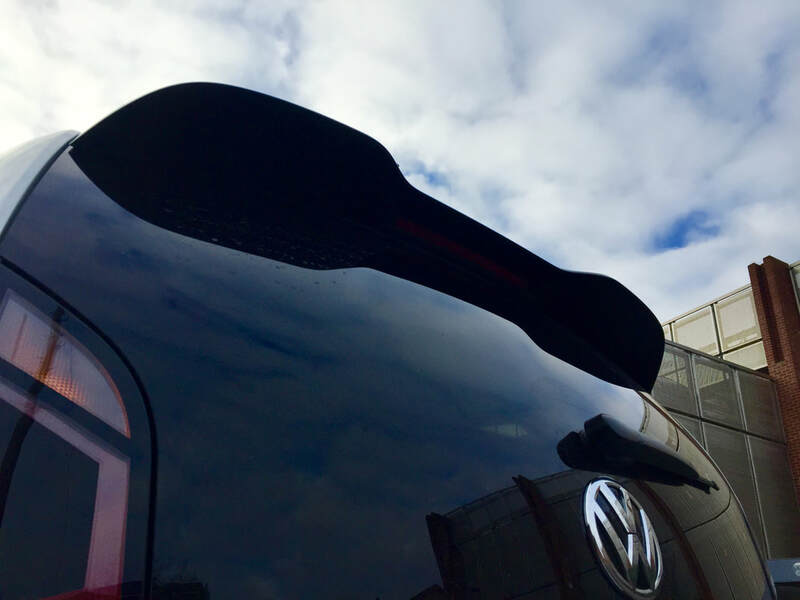 The Up GTi proves itself to be agile with just enough Torque for daily and 'spirited' driving.. I believe a completely standard model would be more than Capable on the Nürburgring Nordschleife and get around safely and in good time too. A 9 Minute Lap would not be laughed at; especially when so many people visit the Nürburgring and are happy just cruising around the Circuit to take in the Scenery. Because I live in Nürburg and also help visitors to learn their way around the Circuit, I have a bit more experience and would think a 'gentle' Lap without hitting the Kerbs should see a Bridge to Gantry (BTG) Time of 9 Minutes or less! 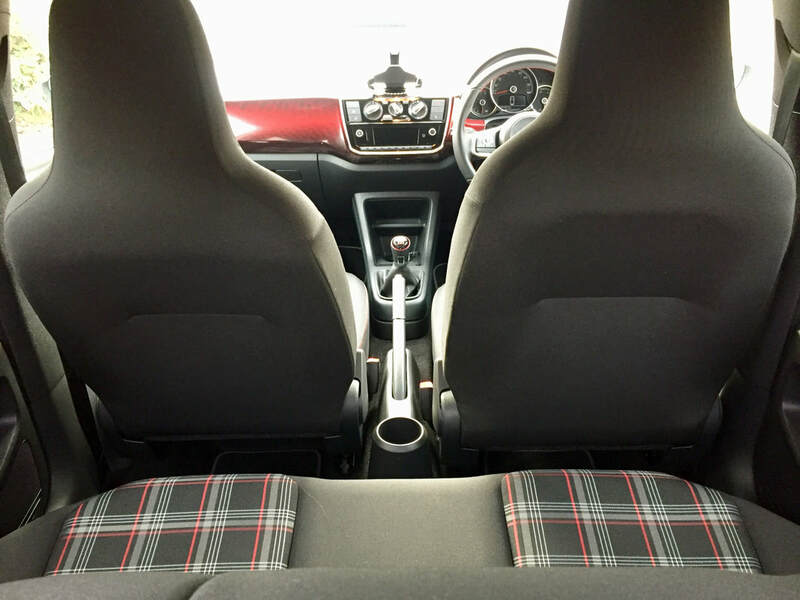 ​If you are viewing this from a Mobile Device, please scroll to the end of this Review so you can see the additional pictures of this Car. If you are using a Laptop/PC Device you will be able to see all images to the right while reading the Reviews on this website. ​Before I bore you all to death... lets get on with the Review! This car weighs literally nothing! I love how tight the Chassis is, and how well this thing corners. 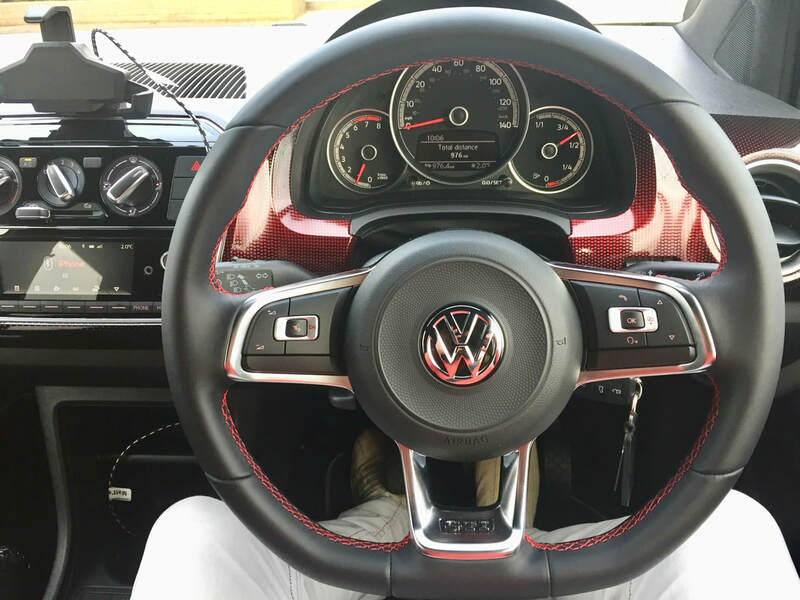 It is a miniature replica of my Golf 7 GTi and the original suspension is more than suitable for all types of driver style. Massive thumbs up from me! I really do find these Cars good to look at, although personally I am a 3-Door Hatchback kinda guy. 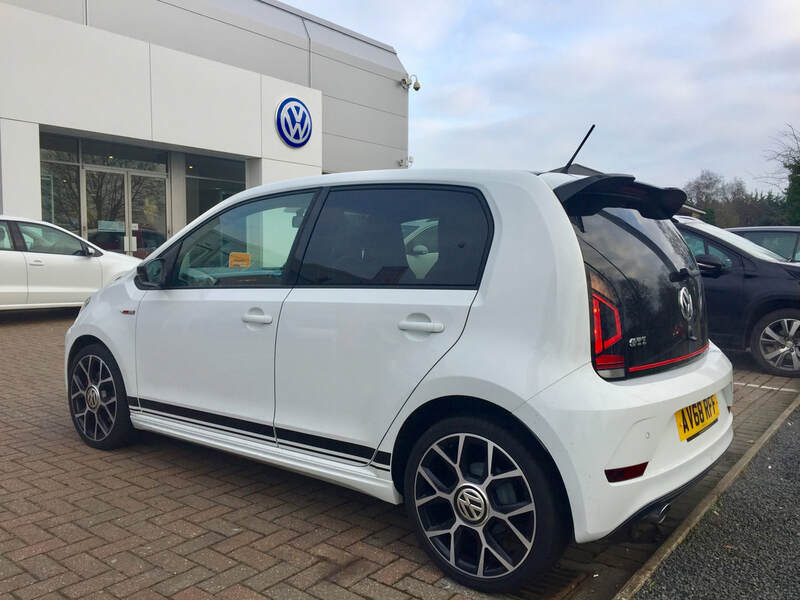 With the recent industry changes there are a lot more 5-Door Hatchbacks being produced - but I have no plans to kidnap anybody so wont ever have people in the rear seats when driving. Ever. 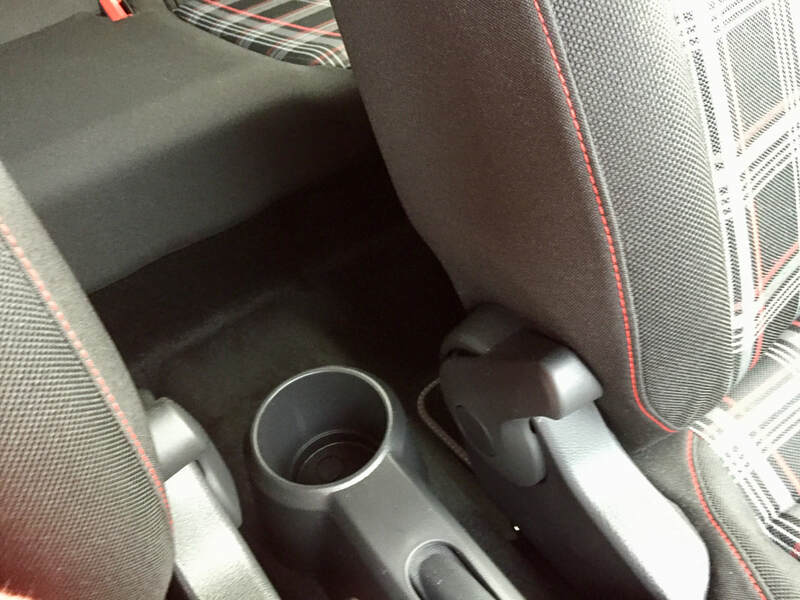 I actually find voices from the rear seats while driving frustrating. I quite fancy the lines - I love the shape of this Car! A lot of people will look and laugh, but it is very similar to the Mercedes Smart; you will either love or hate it. 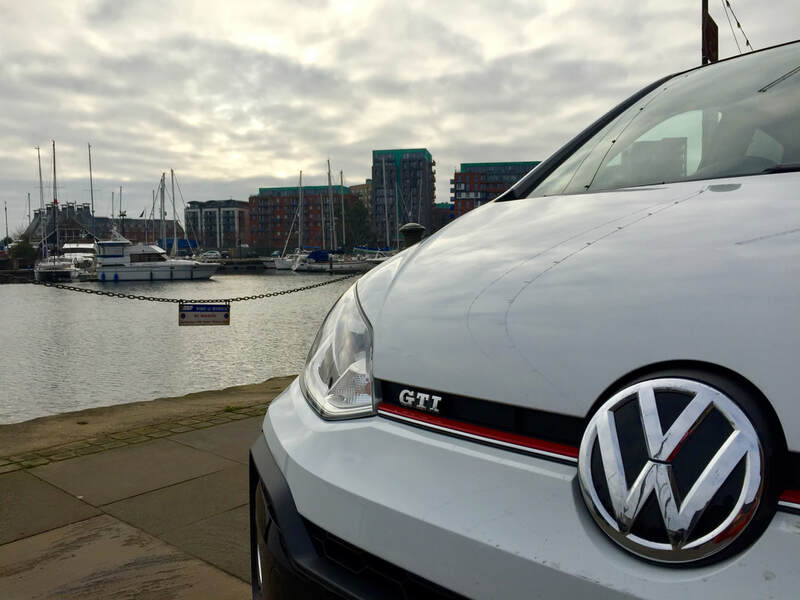 Either way your opinion is invalid because everybody at Ipswich Volkswagen loves the Up GTi! 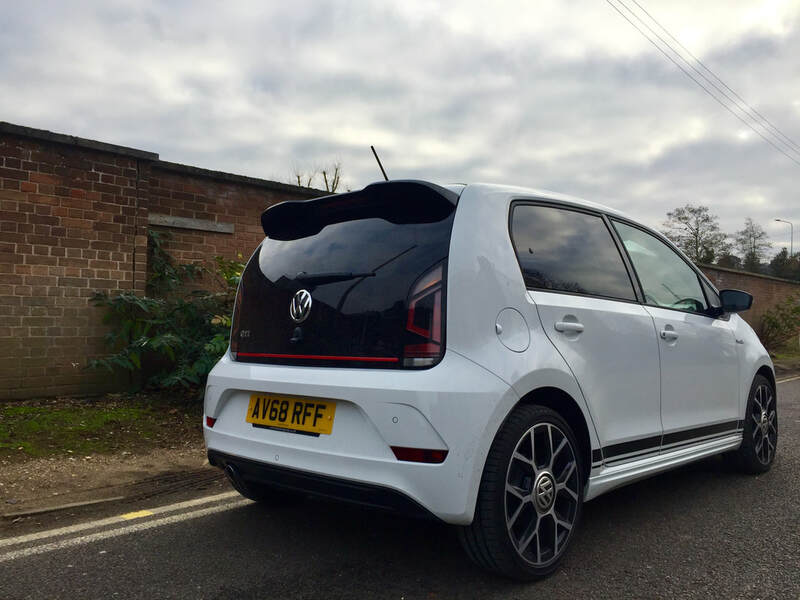 It is a really fun concept - and not something to be taken as seriously as a Golf 7 Clubsport S which was built for very fast Road/Track Driving. 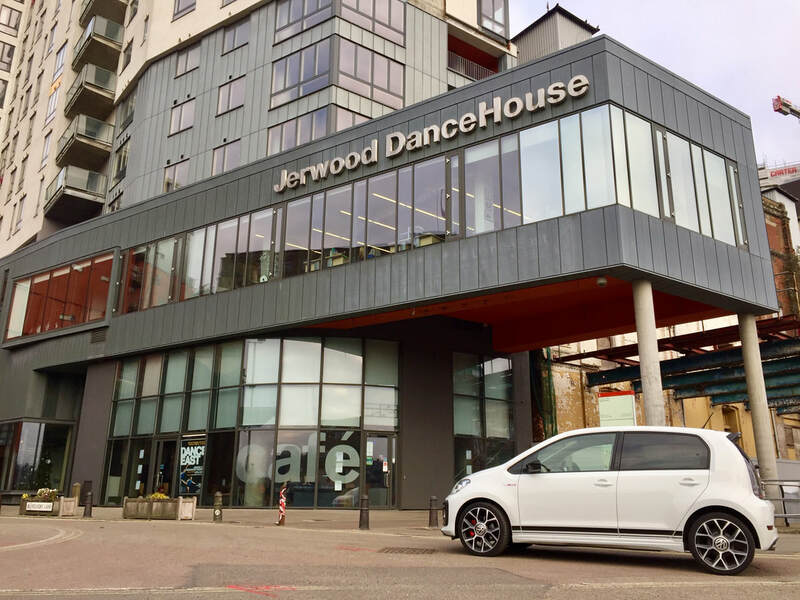 If you visit Ipswich Volkswagen and look at the 3-Door Model on display, it will hopefully warm you with its little Spoiler, funky DRL's and 17" Alloys which it really doesn't need - but adds to what I think is a great image for First Time drivers, or younger drivers who want a Sporty Hatchback without the inflated price tag! ​​Incredibly responsive. This Car has a very small 1.0 Litre Motor with a Turbocharger, and the pickup from just under 2000RPM is seriously impressive. While it doesn't have the exact same Torque output as the Sub 7 Up! 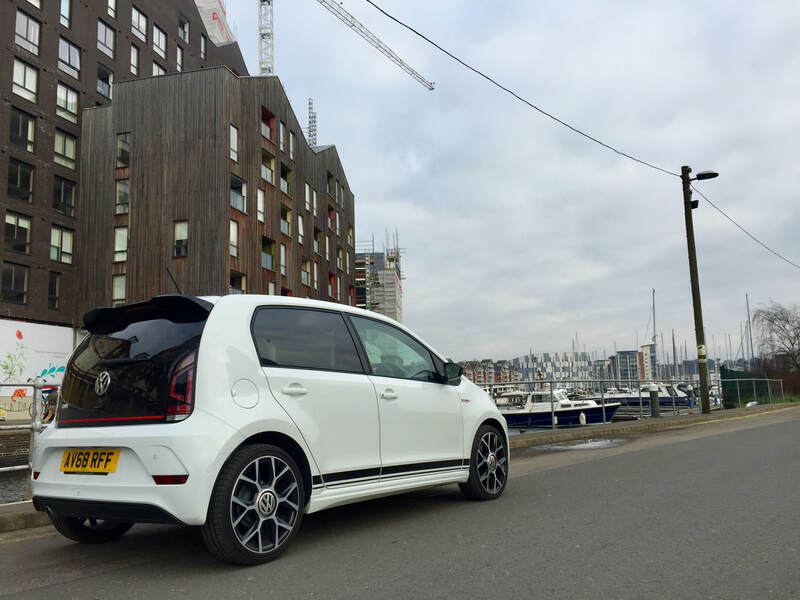 from Apex Nürburg - Remapping would extract this and for a completely standard Vehicle I think it is perfect for all types of driving. 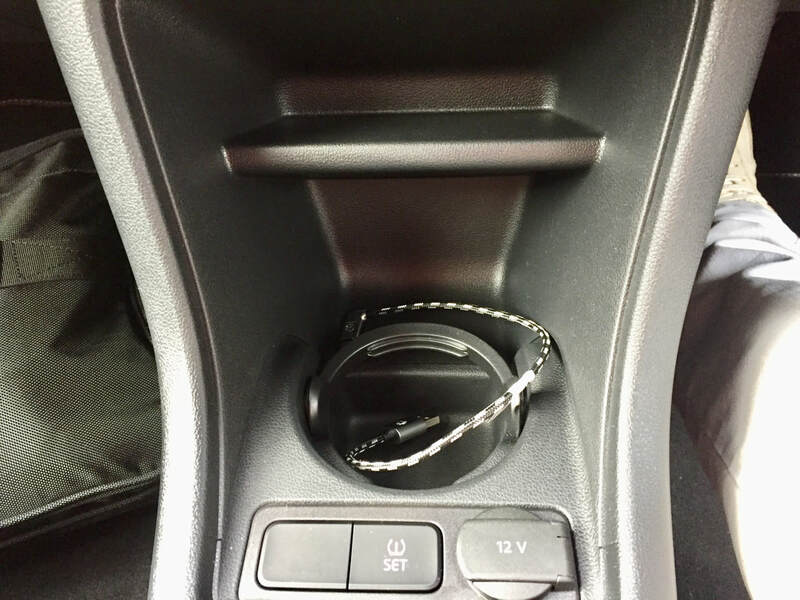 I will always Tune my Engines but that doesn't mean everybody has to. For a completely stock Motor I think it is more than good enough, and it gets up to speed a lot quicker than you would think. Personally I would Tune it for safer (quicker) overtaking although on the Dual Carriageway I didn't need to use 100% throttle to get past a Truck that trundled along at 56MPH or whatever speed He/She/LGBT wanted to travel at. 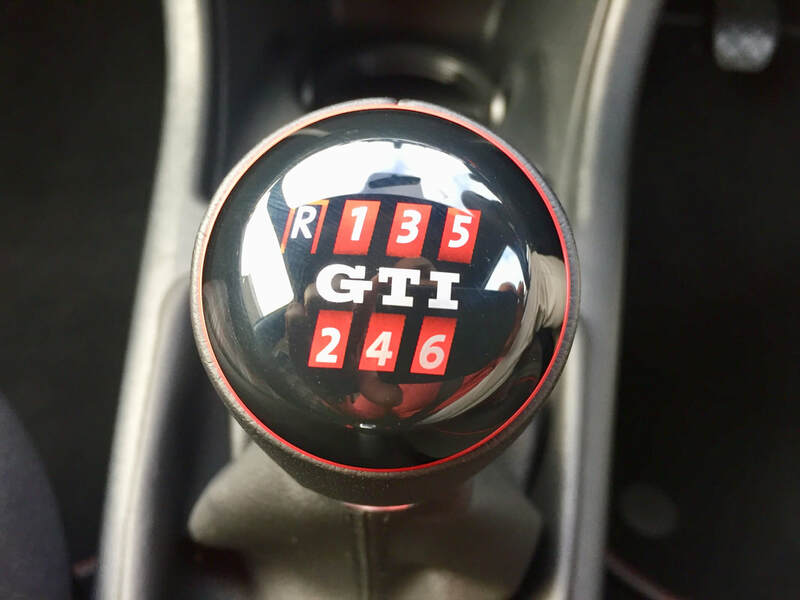 For overtaking procedures I will always say ''more is better'' but there are also people who cannot drive with increased Power and would do better leaving the Car unmodified. 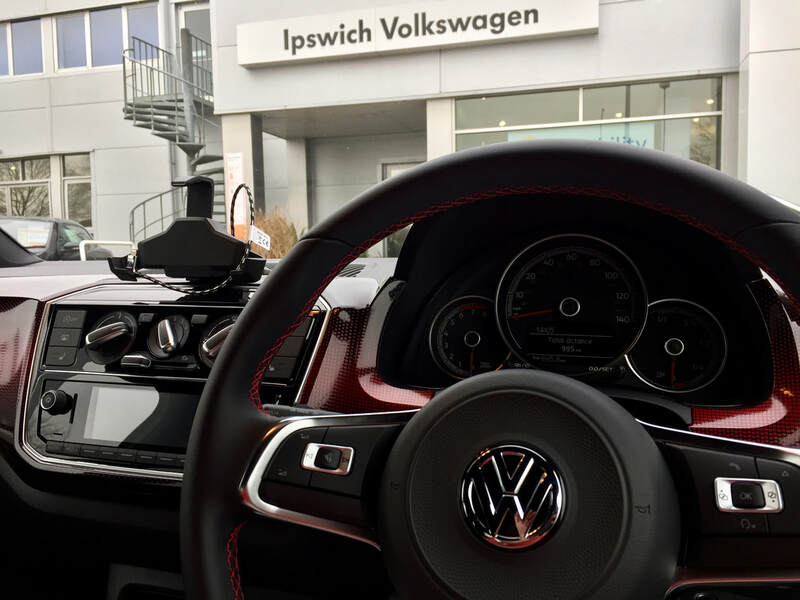 I would like to say a very big Thank You to Charlie Abbott and the entire Team at Ipswich Volkswagen! 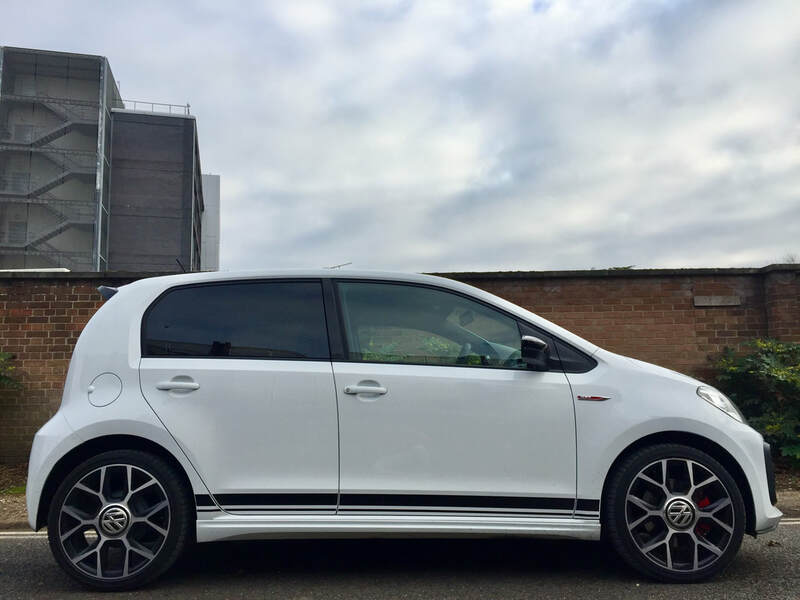 Driving back to England was a long Journey, and after spending a year in my Golf 7 GTi at the Nürburgring and also for daily use I booked it in for Servicing immediately after my arrival. I was welcomed not only with a cost free Courtesy Car (Golf 7 1.0 TSI DSG) but also received some gifts from staff as a kind gesture. 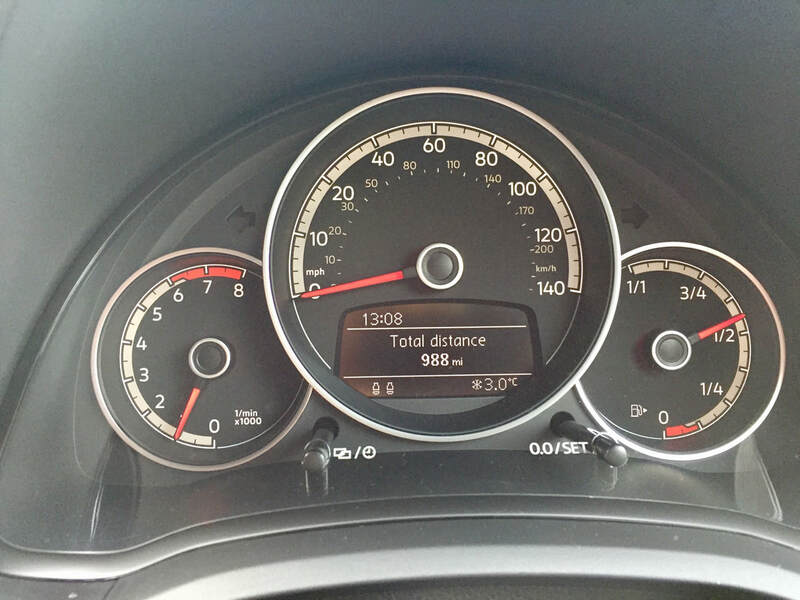 My Servicing fee was also discounted, and the Video Inspection showed no faults with the Golf after one year of ownership. I have been really pleased with the level of professionalism shown by these guys, and recommend anybody looking for a New or Used Car to get in touch with Charlie, or browse the website first to see what is available! The address, contact and website details are below - thanks for reading!